People are spending millions of dollars on digital cats! The Ethereum network transaction delays were front and center this week, as CryptoKitties, the first Ethereum-based decentralized gaming app (DAPP), clogged the network, leading to slow and expensive transactions. This is relevant because if one viral game can hinder the effectiveness and speed of the world’s second largest blockchain, it shows how early in the game we are. 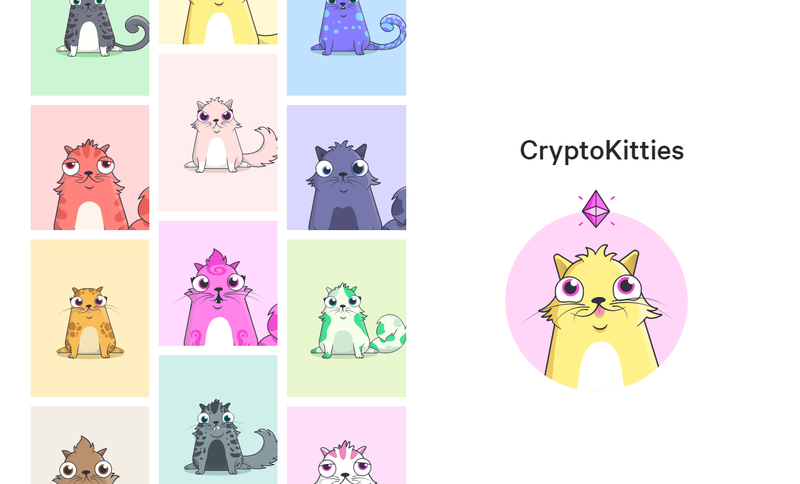 CryptoKitties has a decentralized marketplace where users can buy, sell, and gift digital cats using Ethereum. The object of the game is to maximize rare or desirable “cattributes” through breeding your furry virtual friends. In terms of popularity, it’s been compared to the Beanie Baby mania of the 1990s. 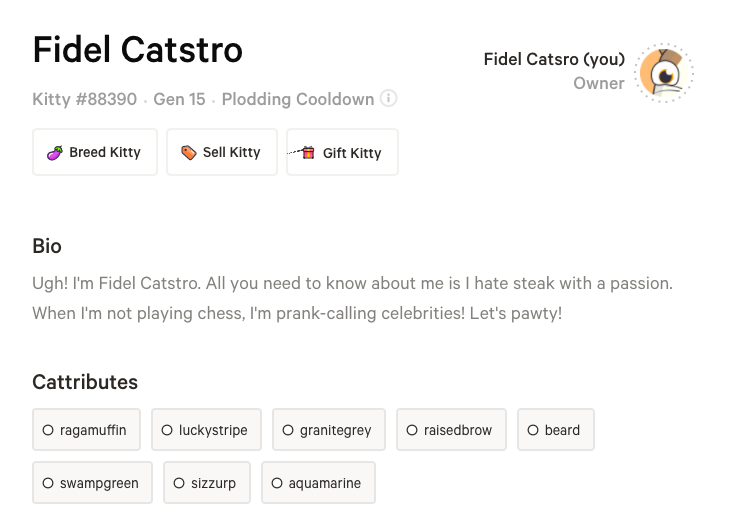 Players can find an index of all traits in order of scarcity on CryptoKitty Dex. Traits include physical characteristics like “chestnut” and “ragamuffin,” but also more abstract ones like “sizzurp” and “totesbasic.” Breeding two parents with favorable traits increases the probability of desirable traits in the offspring, but like human genetics, there are no guarantees. Before you start digging up your Punnett Square homework from 7th Grade Biology, note that the exact algorithm to breed rare Kitties is a well guarded secret by the game’s developers, AxiomZen. The rarest of these Kitties are being sold/bred for upwards of 250 ETH (~$115,000). There are plenty selling for less than 1 ETH (~$450 or less), so you can imagine why even non-gamers are taking a look. There’s even a newly created CryptoKitties Meet Up in Group Los Angeles! Regardless of whether you think playing CryptoKitties is a good use of your hard-HODL’d ETH, it’s a great test case for how well DAPPs will perform on the current version of the Main Ethereum network.